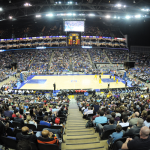 Basketball England Chair Clare Wardle has broken her silence around the recent dispute between the Home Country Associations (HCAs) and British Basketball Federation (BBF) with an open letter written to members. 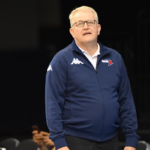 Following on from basketballscotland Chair David Davies writing to his membership on Tuesday, Wardle apologised for a situation that has led to the membership not feeling informed, and saying “we are now positioned to build a brighter future”. 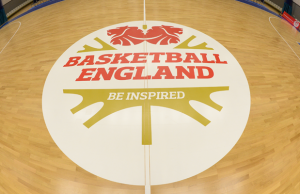 Pointing to the BBF’s ‘perilous financial situation’ and their inability to become financially self-sustainable, Wardle expressed her concern at the BBF wanting to impose an immediate financial levy on Basketball England, which would have to be funded by the membership. 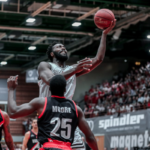 “At this point, the members of the BBF had to take action to prevent that,” leading to the calling of the Extraordinary General Meeting (EGM) on Thursday. Wardle said that though BE supports the GB teams, they will not jeopardise the grass roots for a non-sustainable BBF programme. She added the relationships between the difference HCAs are stronger than ever, and they believe they ‘will lay the foundations for successful and sustainable GB teams’. 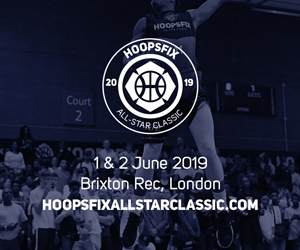 Ongoing developments between the Home Country Associations (HCAs) of England, Scotland and Wales and the British Basketball Federation (BBF) will no doubt have come to your attention recently, and they have been brought to the fore in a way that is regrettable. BBF Board resignations, the statement from our GB players and the continual leaking of sporadic, out of context and sometimes thoroughly inaccurate information from closed door meetings have all created a highly charged and often confusing picture of the sport we love. We elected to try and remove ourselves from adding to that confusion with an ever increasing volume of communication, but I accept that can create the feeling that we are not keeping the membership informed. For that, I do want to apologise, but I am absolutely certain that thanks to discussion and collaboration between the HCAs, key stakeholders, funders and the Government, we are now positioned to build for a brighter future. 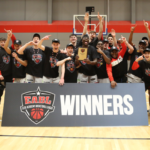 I want to take this opportunity to speak to you, as members of Basketball England, to explain some of the background around these recent events. We are a member organisation and you deserve clarity on what is happening in your sport. Equally, I also want to let you know what we plan to do from here, and outline how we are going to be a part of the solution for GB Basketball going forward. To begin, the BBF is the organisation that runs the GB basketball teams, and we as Basketball England are the members and owners of the BBF with Scotland and Wales, although it has been run separately. For quite some time, we have been aware of the BBF’s perilous financial position. 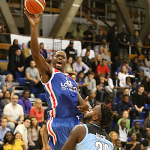 Despite significant intervention from both Sport England and UK Sport in recent times, the BBF has been unable to use that money to become sustainable or to find money from other sources. 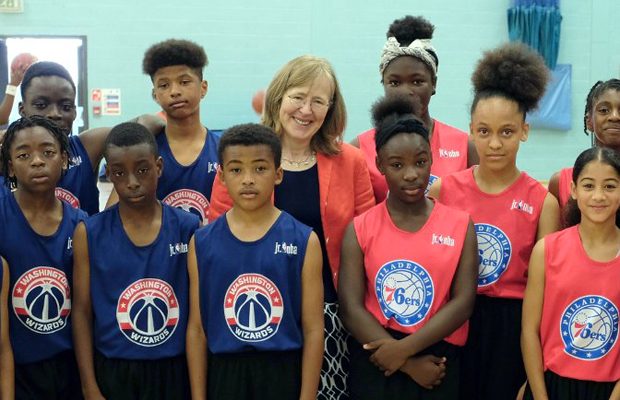 As the largest of the three HCAs, we have also provided hundreds of thousands of pounds of funding to the BBF in the last few years and practical support including running the GB Under 18 and Under 16 teams for the BBF. But whilst teams remained on court, the situation has always led to the same end point. Money has always run out, with no clear plan for where the next pot of funding was going to come from. This was often coupled with further attacks on Basketball England in particular for not providing even more money. This situation wasn’t satisfactory to government either, so the Sports Minister asked all parties to come together and solve the problem. 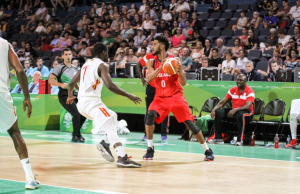 Interim funding through UK Sport was found to keep the national teams going on the basis that the BBF and the HCAs could come up with an agreed sustainable solution. In the most recent round of discussions about how to do this, the BBF remained adamant we should continue to fund substantial BBF infrastructure in addition to the staff and support for the teams. 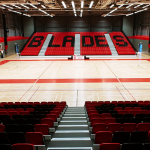 A central aspect to the BBF chairman’s latest proposal was to impose an immediate financial levy at a level of the BBF’s choosing on Basketball England and the other members of the BBF without regard to our representations on what was affordable and without giving us the opportunity to consult you, our members, who would have to fund this. At this point, the members of the BBF had to take action to prevent that. This was not a decision that was taken lightly. As an organisation, Basketball England totally supports the success and long term sustainability of our GB teams. But our stance throughout these BBF negotiations has been clear. Under no circumstances will we jeopardise basketball in England for a BBF model that has no long term, sustainable future. As the largest of the HCAs we do have a level of funding available to us from members and from Sport England for specific programmes (and we thank you and Sport England for that support). We also have a responsibility to the grass roots game and the programmes and competitions we run to ensure that all the money we receive is spent both responsibly and sustainably. Whilst we have provided a lot of financial assistance to the BBF in the past, the vast majority of our funding from Sport England is ring-fenced. That means it can only be spent in a pre-agreed way, and we cannot deviate from that. We are accountable to Sport England for the money we receive, and if they did not agree with what we were doing, they would not fund us. Equally, we believe that the money we do raise from competition and membership fees should be appropriately reinvested into the sport. Membership money should be spent on you, the members, through better events and competitions, and more programmes and opportunities to play. You have identified a number of key priorities for improvement and we have a programme of work we need to deliver on. We have to be firm but fair to everyone. Whilst we have provided assistance to the BBF, both financially and through shared services and support, that assistance needs to be focussed on our GB teams. We cannot afford to support substantial overheads and infrastructure in addition. Unfortunately, the BBF response to this was unrealistic. Their proposals were repeatedly at odds with the financial realities of the current climate and their willingness to tax the grassroots of the game to fund their organisation is something we and the other HCAs could not agree to. As a result, the HCAs felt it was a much needed step to re-align the role of the BBF so that stakeholders, funding bodies, and the UK Government could all come together and finally move forward. With a joint approach that is endorsed by all involved, the sport should be able to access the remaining £305,000 recently offered as a short term financial solution through UK Sport. Reaching this stage has led to some tough situations and difficult conversations. You may have seen or read that basketball is “broken”, it is “beyond repair” or that these are “dark days.” I do not believe that to be true. Yes, there have been some barriers to overcome but from that, unity has been brought to the fore. 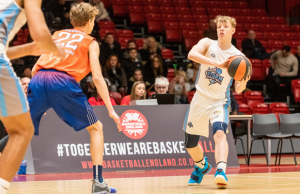 The bonds between Basketball England, basketballscotland and Basketball Wales have never been stronger, and working with others in the game we can and will lay the foundations for successful and sustainable GB teams. To do that, we need to band together. Our immediate focus is to reduce overhead costs so that what money is available is used to keep players on court and to support them as fully as possible. Being financially responsible in the short term does not mean we lack ambition, or that brighter times can’t be found in the future. But for now we must work with what we have, pool resource, share best practice, and bring the sport together to build a sustainable platform for growth. By securing what is remaining of the UK Sport funds, we will help all our Under 16, Under 18 and Under 20 sides to maximise their potential this summer (and it was great to see the Under 20 women’s recent victory over Lithuania) before turning our attention to the Men’s EuroBasket 2021 pre-qualifiers in the Autumn and the Women’s EuroBasket 2019 qualifiers this November. Those are our immediate goals. We cannot allow this situation to overshadow the successes the game has enjoyed in recent months. A silver medal for our women’s team at April’s Commonwealth Games was historic and a truly inspirational moment. The Jr. NBA programme is continuing to expand and provide high quality basketball experiences for thousands of young children every year. Our satellite clubs are reaching out across communities all over the country to welcome people into the game. Safeguarding and welfare in basketball has had another excellent report and we are committed to raising the bar year on year. In the coming months, we will be instigating a campaign to get more coaches and officials involved at all levels and doing so will help the sport to flourish. 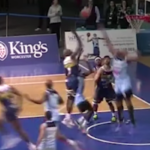 Despite the attention the BBF has demanded in the last few weeks, Basketball England cannot be diverted from our aims. 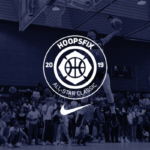 We are committed to you, as players, coaches, officials, secretaries, team followers, administrators and fans, to make sure that as an organisation we are helping every part of the sport and we are working daily to improve that delivery. 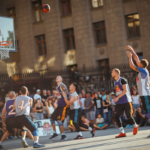 Basketball is unique in how it connects with people in ways that others sports cannot, and the change it can inspire in people’s lives. We believe that having strong, inspirational GB teams is a part of that appeal, and we need your support in helping to create them and to build together for the future. At appropriate points in the coming months, we will reach out to you to let you know how that future is taking shape and what developments have occurred for our GB teams.